Buy Marijuana Clones For Sale Online. The Strainbank has preserved the world's most potent cannabis strains and provides mature clones for sale and cannabis seeds to patients for cultivation. We flower verify all of our strains and guarantee the most potent phenotypes to grow the highest quality medicine - you'll appreciate the difference! Whether you're a breeder looking to develop authentic hybrids from pure genotypes or a new grower looking for cannabis that yields consistent results; we're the best source of flower verified, lab tested marijuana clones for sale online. Caretakers, delivery services and dispensaries cultivating authenticity verified genetics have a strong edge, standing out amongst the rest. We're not the only marijuana clones provider, so we listed below some of our highest rated competitors for you. The Strainbank has lead the industry as the most resilient genetics preservatory in the U.S by focusing on customer service and quality genetics. Since early 2017, there has been an explosion of new businesses advertising clones online and unfortunately for patients these nurseries are making some wild claims. Buy clones for sale from The Strainbank and together we'll grow far. The best way to ensure you are buying reputable marijuana clones for sale is by looking at reviews on each Google business listing to get credible feedback from real people. For example, just take look at the striking difference between The Strainbank and any one of our competitors in San Diego or Los Angeles! We're not knocking these clone nurseries simply because they have yet to establish a solid reputation, we're just proud of our trail blazing history serving the cannabis community. A genetics preservatory of original cannabis genotypes. We offer new patients 10% off thier first purchase! Cultivating marijuana is an investment of money and time. Many patients after setting up a grow room impulsively buy any cheap marijuana clones for sale online. Serious growers should be confident in the authenticity of the genetics they harvest. Our collective remains the only local source of flower verified, lab tested seedbank genetics. The potency of the flowers you harvest determines it's value and your ability to recoup the costs of nutrients, electricity and space. Your donation goes toward cultivation & preservation only. Yes you can find marijuana clones locally on websites like Craigslist.org or Weedmaps.com; however, keep in mind anyone can post free ads or pay to advertise. In other words, anyone can sell clones without being established and building a reputation for offering authentic genetics. If you're reading this, you have correctly used a search engine to find our website by researching how to buy marijuana plants for sale online. (1) Where do your strains originate? (2) When were you established? (3) How are your clones cultivated? Ideally this information should be online. Reputable collectives have nothing to hide and welcome these questions. Since 2009, The Strainbank has been providing quality clones to medical marijuana patients, caretakers & dispensaries across California. Don't let excitement to grow marijuana clones rush your decision; view our flower verified Strain Menu today! We have a proven method we never change. 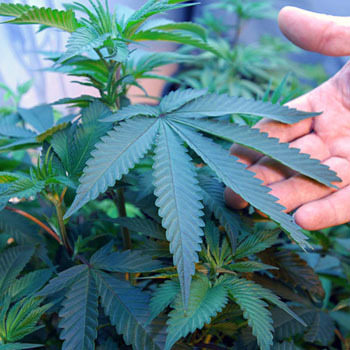 All marijuana clones are hydroponically cultivated in sterile, enclosed environments. All genetics originate from international breeders who have built a reputation for having original cannabis genotypes. All marijuana plants are grown organically without any use of pesticides. 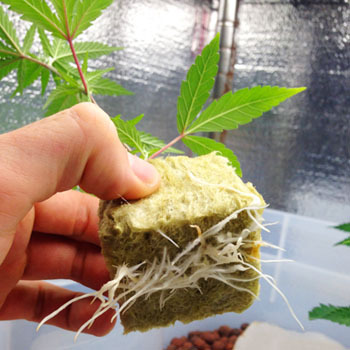 All clones and teens are properly rooted into rockwool or coco pots for immediate transplant. We guarantee no bugs, mold or disease with any of our clones. There are many reasons to visit The Strainbank clone nurseries, we simply hope medical marijuana patients use our website to find the best marijuana plants for sale online. We have the most diverse and authentic portfolio of genetics in the U.S with access to 100s of unique marijuana strains. We enjoy taking the time sharing with patients what exactly makes our marijuana plant nurseries so exceptional. Don't be rushed to order clones online. Growing premium cannabis takes months, so why not spend a few minutes making the best decision? What makes The Strainbank better than other cannabis nurseries offering clones, marijuana plants & cannabis seeds for sale online? Cultivation Advice. Our ability to show compassion to new growers is what makes The Strainbank so different. Most patients new to cultivation plants find it easier to learn with guidance from their genetics provider. Our staff is always available, by phone and email, to provide growing consultation throughout your entire grow. Membership Rewards. How else better to thank our patient members other than to offer them free gifts for supporting our nurseries. If you're a returning patient, just let us know which one of our popular products you're interested in trying and we will provide to you a FREE sample at no extra cost. Many of our patients are learning the advantages of growing cannabis seeds, which increases the yield and potency of your harvest. The Strainbank has developed a platform for patients to buy clones for sale online from trusted marijuana nurseries. The long withstanding partnerships we have established with the best marijuana growers in the U.S. has allowed The Strainbank to quickly become a globally recognized source of superior cannabis genetics. We specialize in cultivating the highest quality cannabis plants for sale to both marijuana patients and recreational users. Select the right strains to cultivate by considering which medical effects would best treat your ailments or condition. The most common types of marijuana are hybrids. Hybrids are typically dominant to either Indica or Sativa depending on the parent strains. In general, hybrid strains provide the most medicinal value, largest yields & highest potency. Arrival of seeds is 100% guaranteed! Disclaimer: Cannabis seeds sold by The Strainbank are novelty items. 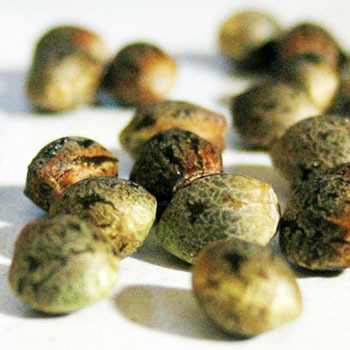 Check your local State laws to determine if marijuana seeds can be cultivated for medical use. Congress prohibits the Department of Justice from using funds to target State-legal medical marijuana programs. Marijuana plants are available only to verified medical marijuana patients and recreational users whom are State compliant with posession & distribution clone statutes and County cultivation limits. The Strainbank stands behind our marijuana clones and cannabis seeds with our Exchange Policy to ensure complete customer satisfaction. There's a huge demand for verified cannabis genetics and we understand patients order from us to grow premium medical marijuana. Serious cultivators know each harvest is an investment and for this reason do not settle for genetics of unknown origin. Our team of growers can only do what's humanly possible to ensure each plant is healthy and rooted properly. Given the type of industry, we have done an excellent job remaining a safe, discrete & legal source of marijuana plants and cannabis seeds since 2009. The Strainbank follows a very simple process; our growers know how long it takes on average for each to strain to root properly. After cuts are taken from any given mother plant, trays are tagged with a date and tended to until randomly selected clones appear rooted. This process ensures all orders are properly rooted into the growing medium because no clones are sold before the predetermined amount of rooting time passes. We do not rush or shorten this process for anyone; therefore, cuttings are not available under any circumstances. On average cannabis seeds take 3 - 4 weeks to reach the height of the marijuana clones we provide. Not only do you save time, but marijuana plants are guaranteed female while plants grown from regular cannabis seeds are not. Once randomly selected cuttings appear rooted, it's safe to assume the whole tray is rooted; however, our growers still perform a "tug test" before each order to ensure a strong root system has developed. Waiting for "curtain-like" roots to accumulate increases the shock plants experience when transplanting; why? Ideally when plant roots emerge, they seek the next growing medium immediately to acclimate properly and continue healthy development. Roots that develop outside a growing medium require additional water, humidity and nutrients, otherwise they become discolored. The service we provide operates solely on voluntary donations offered to us by patient members. Thousands of people risk payments to Int'l Seedbanks generating millions in revenue without much hesitation. The Strainbank does our best to flower verify, preserve and share the most premium cannabis strains on Earth. If you're just looking for any marijuana clones online then try searching Craigslist for cheap deals, but do so at your own great risk. Our success selling clones for sale online allows us to preserve a wide range of genetics and continue providing marijuana plants for less than the cost of feminized cannabis seeds. Each transaction is a donation from patient for marijuana plants. A donation is defined as "the act of giving" or "a contribution". In other words, offering replacements is a voluntary Exchange Policy because there are too many variables to consider when offering a guarantee on products highly susceptible to customer care. Follow us online to get discount and promotion codes for more savings! Service Areas: Los Angeles, San Diego,	Long Beach, Bakersfield, Anaheim, Santa Ana, Riverside,	Irvine & San Bernardino.